Slavia Praha and Astana meet at Eden Aréna, in a match for this stage of the UEFA Europa League (Group Stage). 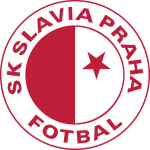 Slavia Praha registers significant differences between home and away results, so the home/away factor is worth special attention. After 2 wins, 2 draws and 1 loss, the home team is currently in the 2nd position, with 8 points won. In the last match, they have won (0‑2) in an away match against Maccabi Tel Aviv, after in the previous round they have lost (0‑2) at home against Villarreal. This is a team that usually makes good use of the home advantage, stronger with the help of its supporters, since in the last 30 matches they register 5 wins, 7 draws and 3 losses in away matches, with 21 goals scored and 12 conceded; against 11 wins, 2 draws and 2 losses at their stadium, with 30 goals scored and 7 conceded. In their last match, for the Czech Liga, they got a home win against Baník Ostrava by (2‑1). In the last 10 home matches Slavia Praha has won 7, tied 1 and lost 2. Their offense has scored frequently, since they have scored goals in 4 of the last 5 matches for this competition. Slavia Prague comes for this match after a win against Banik, by 2-1, adding the fourth match without losing in official matches. To move forward in the competition, the home team needs only a draw. In this home match, it’s expectable the coach Jaroslav Silhavy will play in 4-2-3-1, benefiting from ball possession and organized attacks, looking for the Skoda forward in most occasions: this player is the best scorer of Slavia Prague with 8 scored goals. Apparently, there are no weight absences for this match. Confirmed Lineup: J. Laštůvka, M. Frydrych, J. Jugas, E. Sobol, M. Ngadeu-Ngadjui, Danny, M. Stoch, J. Zmrhal, T. Souček, M. Škoda. Coach: R. Rotan, J. Trpišovský. The away team is currently in the 3rd position, with 7 points won, after 2 wins, 1 draw and 2 losses. In the penultimate round, they have won an away match against Maccabi Tel Aviv by (0‑1). In the last round, they have lost a home match against Villarreal by (2‑3). This is a team that usually maintains its competitive level in home and away matches, since in the last 30 matches they register 8 wins, 2 draws and 5 losses in away matches, with 21 goals scored and 19 conceded; against 11 wins, 2 draws and 2 losses at their stadium, with 37 goals scored and 12 conceded. 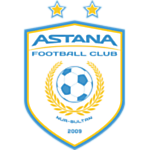 In the last 10 away matches Astana has won 5, tied 1 and lost 4. Their offense has scored consistently, as they have scored at least one goal in each of the last 5 matches for this competition. In 15 matches, they have conceded the first goal 7 times and have only turned the score around in 2. Astana comes for this match after a defeat at home against Villarreal by 2-3 in a match counting for the group stage of the Europa League. To move forward in the competition, the visiting team must win. In this difficult match, the coach Stanimir Stoilov should keep the team in 5-4-1, benefiting the defensive organization and the direct attacking balls, especially for Kabananga: this player is Astana's top scorer with 19 goals. László Kleinheisler is absent from this match due to injury. Confirmed Lineup: N. Erić, Y. Logvinenko, I. Shitov, M. Aničić, D. Shomko, S. Muzhikov, M. Tomasov, I. Maevski, S. Grahovac, J. Kabananga, P. Twumasi. The most likely scenario for this match will be both teams to score at least one goal. Given the offensive quality of the two teams shown in recent matches, it’s expectable they’ll provide an open match with plenty of chances for both sides. In addition, both teams aim to move forward to the next stage of this competition, making a bet on goals for both sides to be full of value.